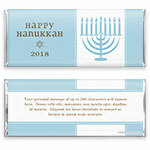 Celebrate honored traditions in sleek style with this this contemporary menorah wrapper. 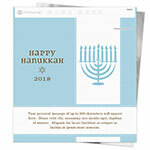 Design: Hanukkah menorah with a holiday greeting. Personalization: Front greeting and date, back message.